Wear your favorite jewels and wear them in the summer! 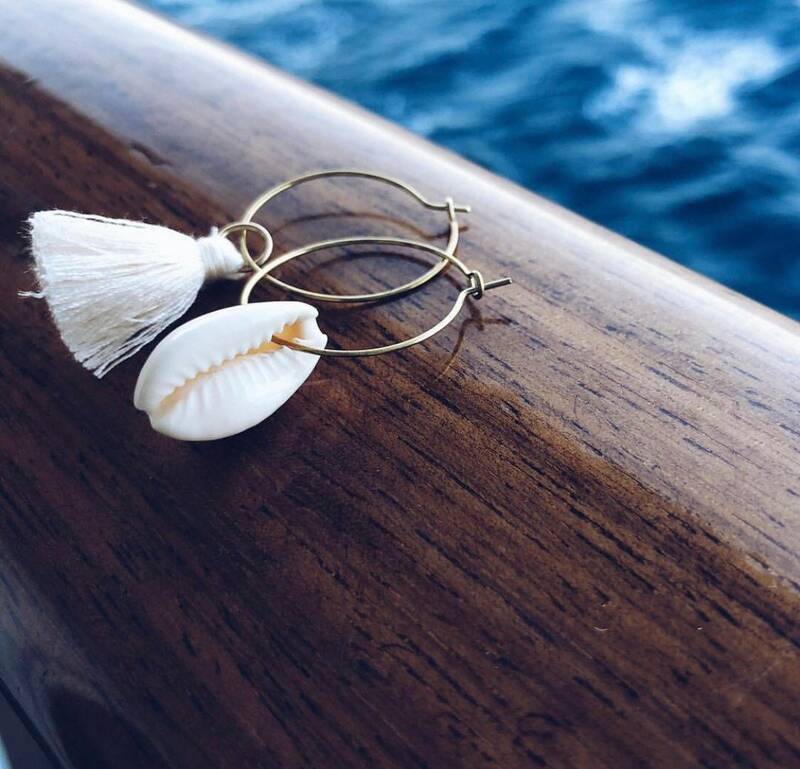 The earrings for sale are made with thin brass rings and natural shell and cotton tassel pendants. Three colors for the circles: silver, gold and pink. Choose yours!